This is an excellent description of quality time. A few tips for increasing quality time: Have a 20-minute period in the evening when you and your family share about your day. This can be over a cell phone-free dinner, or afterward, with no TV. You can turn down the tunes in the car and visit while you drive instead of drowning each other out with music. Whatever you decide on, make sure you aren’t doing something else during this quality time. Try to keep these precious moments free of distractions. Make eye contact with the person you are conversing with. Listen to him or her, and ask yourself if there are emotions behind what that person is saying. Perhaps this person needs to express something, and you are the perfect person to share with. The goal is to spend at least 20 extra minutes of quality time with loved ones each day this week. 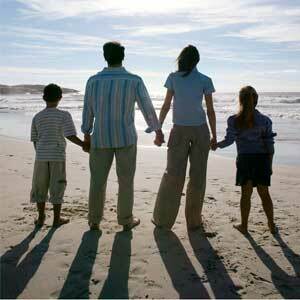 Quality time is meaningful, free from distractions such as cell phones, internet or television. This extra time will be great for you and your family. It will allow you to reconnect in meaningful ways. Give it a try this week! You will notice a big difference with those you love!